In this article, we will be talking about ‘commercial voice-overs’ which concerns almost everyone, from film maker, producer, director to advertising producer. Yes, advertising in the media production sector concerns everyone. Commercial voice-over is an important part of every business in the media production industry. Commercial companies that are active in film companies, production companies, advertising agencies and other industries need advertising voice-over services for commercial purpose videos. 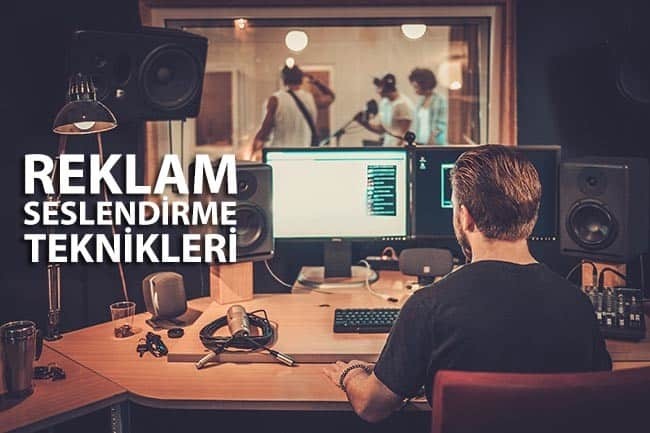 Commercial voice-over is for promotional and commercial purpose videos, these can be given by many more examples such as promotional film, commercials, television commercials, viral commercials, radio commercials, IVRs. It is a voice-over service. Media producers receive this voice-over service through the dubbing agency after preparing the visual content. There are certain criteria of the voice-over agency for the commercial voice-over services. Sound selection according to the commercial scenario, accents and intonations in accordance with the scenario and concept, sound design and music in accordance with the scenario and intonation are just a few of them. The voice-over director in the voice-over agency is in the voice-over studio with the appropriate voice talent while recording the commercial scenario. The sound is made according to the concept of the scenario. There is a sound design and selection of the music after the voice-over is made. The voice talent has to work in harmony with the voice director during the voice-over process. The voice director decides whether the talent should read in a strong – authoritative tone that matches the scenario and concept of the commercial, a cheerful – dynamic tone, a funny – humorous tone, a warm – calm tone, or a romantic – emotional tone. After the concept of the voice for the commercial film is determined, there are other criteria as well like the color of the sound, the accent and intonations. The voice director, together with the voice-over talent, determines the voice tone of the voice-over talent. As a result, this whole process is done in the voice-over agency or in the voice-over studio. Voice-over talents use different voice-over techniques for commercial voice-overs. As mentioned above, the voice talent must be very energetic if the voice-over of the commercial film concept is to be played in a cheerful – dynamic form, for instance. Credibility, sincerity should be reflected in the voice of the talent. Convincing and intimate voices will surely return to be revised by the customer. It’s proven by the experience. The voice director must be the decision maker at the stage of the assembly and the voice should be revised without going to the customer. BiberSA Production, one of the leading companies in the field of commercial voice-over services, continues to be the solution partner for the production companies, advertising agencies, radio and television channels in the sector.